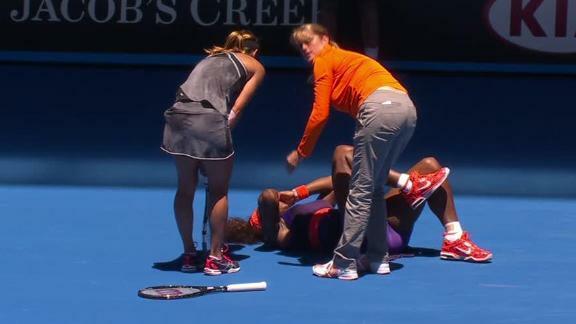 In continuing with my posts on viral Tennis videos from Australian Open 2013, another strange thing happened today. Serena Williams while playing a point during her 2nd Round match accidentally hit her racket in her face and that caused her a lot of pain. It left her anxiously checking her mouth for damage. "I think it happens to everyone, but I have never busted it wide open like that," the five-time Melbourne winner told reporters after setting up a third-round meeting with Japan's Ayumi Morita. "So, yeah, I was like, 'Oh, no. I can't have a tooth fall out.' That would be horrible." 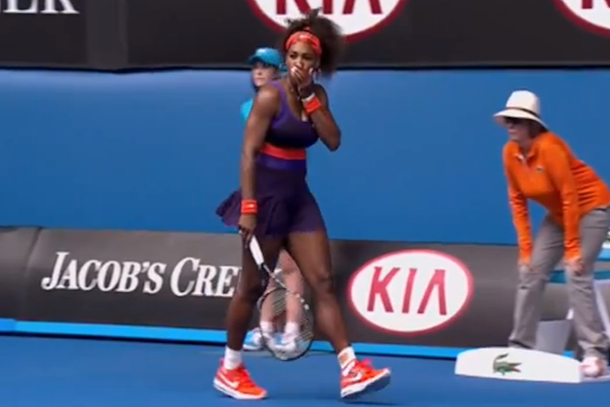 Thou, Serena won the match 6-2, 6-0 vs Garbine Muguruza to reach the 3rd round of Aus Open, 2013. 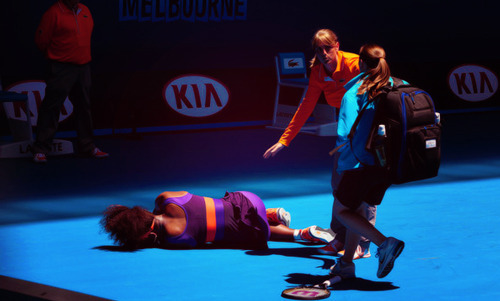 As Serena Williams said, she had to take pain killers before the 2nd round match. 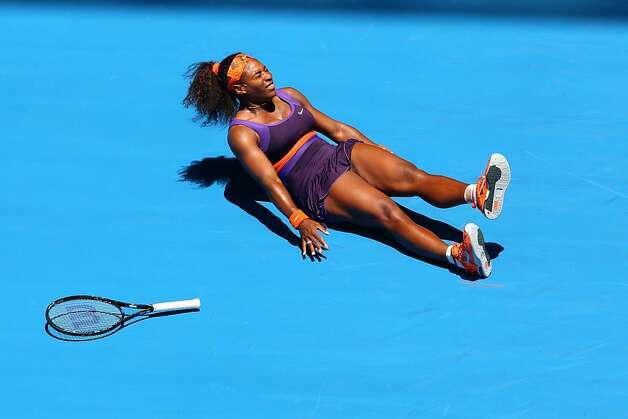 So, here's wishing her luck for the rest of Australian Open, 2013. Oh seems it was her bad day, though its good she managed to win so well Lets see how the tour further proves out to be for her.Wish her Gud luck for coming matches.